This roadmap is the result of a broad and inclusive participatory stakeholder consultation process, involving more than 130 stakeholders from across Europe. These stakeholders represented views from academia, research centres, public health institutes, regulatory bodies, EU and national funding and programming authorities, industry, biotechs, healthcare professionals, journalists and civil society. The stakeholder consultation took place between December 2013 and December 2015. IPROVE Advisory Board composed of Marco CAVALERI, Bernard FRITZELL, Paul-Henri LAMBERT, David SALISBURY. IPROVE Affiliated Members Group composed of: Brigitte AUTRAN (CoReVac), Alice BOUSSELET (Aviesan), Georgina DRURY (UK Medical Research Council), Lucia GABRIELE (Istituto Superiore di Sanità), Carla HOITINK (Intravacc), Alice ROCHARD (Inserm-Transfert). Other key experts and contributors: Vincent BRICHARD (Vianova Biosciences), Ripley BALOU (GSK Vaccines), Benoit CHAMPLUVIER (GSK Vaccines), Philippe DENOEL (GSK Vaccines), Birgit GIERSING, (World Health Organisation), Ali HARANDI (University of Gothenburg), Ingrid KROMANN (Statens Serum Institut Denmark), Antonio LANZAVECCHIA (Università Svizzera Italiana), David Lewis (Imperial College London), Patricia LONDONO-HAYES (Sanofi Pasteur), Tarit MUKHOPADHYAY (University College London), Tom OTTENHOFF (University of Leiden), Mariagrazia PIZZA (GSK Vaccines), Robin SHATTOCK (Imperial College London). 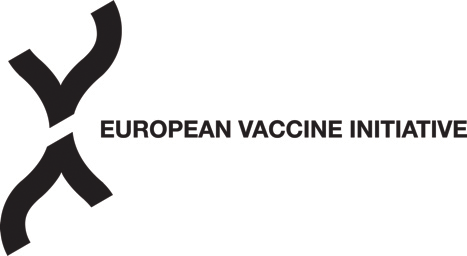 Main authors of this report include Karam ADEL ALI (Vaccines Europe), Florence BIETRIX (EATRIS), Ahmed BOUZIDI (Vaxeal), Gianluca BREGHI (Sclavo Vaccines Association), Landry COCHARD (Scinnov), Ennio DE GREGORIO (GSK Vaccines), Carlos GUZMAN (HZI), Stefan JUNGBLUTH (European Vaccine Initiative), Jan LANGERMANS (BPRC), Odile LEROY (European Vaccine Initiative), Donata MEDAGLINI (Sclavo Vaccines Association), Giovanni MIGLIACCIO (EATRIS),Anne-Charlotte PUPIN (Alcimed), Michael WATSON (SANOFI). Magdalena R. DE AZERO (on behalf of Vaccines Europe), Odile LEROY (on behalf of the European Vaccine Initiative), Donata MEDAGLINI (on behalf of the Sclavo Vaccines Association), Florence BIETRIX (on behalf of the European Infrastructure for Translational Medicine).